The Texas A&M Professional MBA program provides working professionals the opportunity to earn an MBA degree as full-time graduate students without disrupting their careers. 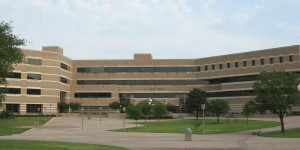 The Professional MBA program is a 22-month program built on Texas A&M’s established MBA curriculum. Classes meet on alternating weekends, from 6 to 10 p.m. Friday evening and 9 a.m. to 6 p.m. Saturday. Classes are held at the private facility at CityCentre. This is a 45-credit hour Professional MBA program that is composed of 39-credit hours in the major disciplines of business, leadership and communication, and six credit hours of electives. Texas A&M Professional MBA students follow a core MBA curriculum that is centered around foundational business courses that grant students the knowledge needed to lead in business. Students take two electives from a selection of offerings, allowing customization to fit their career goals. Students will also complete a Capstone Project. This allows students to work with a business or organization and use their business knowledge in a real-world setting. Students will use this opportunity to identify a problem within the organization and come up with a way to address it. During the summer between the first and second year, students are required to participate in the International Business Policy course. The course is delivered via classroom sessions along with a one-week study abroad experience. There are 47 students enrolled in the class of 2018 in the Texas A&M Professional MBA program. Eighty-five percent of this class identify as men and 15 identify as women. Eleven percent of students in this class are international students and 17 percent of students are military members. The average GMAT score for students in this class is 604 and the average GRE score is 306. Students in this class have an average work experience of 6.4 years. The average GPA of students in this class is 3.06. Almost half of the students represent the petroleum/energy industry. The program cost is currently $89,500 for Texas residents. Program costs include Texas A&M graduate tuition and fees, all required program materials, a residency week in College Station, and air, hotel, program fees and meals during the required international experience. Texas A&M accepts federal and personal loans, federal grants, and veteran’s education benefits to cover costs for the Professional MBA program. Applicants must have a minimum of two years professional work experience, a competitive GMAT or GRE score (50th percentile or higher for verbal and quantitative sections), an undergraduate degree from an accredited institution, and be employed full-time upon application and the start of the program. International applicants must submit either TOEFL or IELTS scores in order to be considered. The Mays School of Business minimum TOEFL scores are 600 on the paper test, 250 on the computerized test, or 100 on the TOEFL iBT. Those who opt not to take the TOEFL must have earned a minimum of 7 on the IELTS. Scores for these tests can be waived upon request.